Or view larger version. Untitled. ca. 1860s. Photographer unknown. Photograph. Collection of Oakland Museum of California. The photograph depicts Chinese workers building the railroad through the Sierra Nevada Mountains. Thousands of Chinese were imported to help build the first railroad over the Sierra, for American labor was more interested in digging for gold. 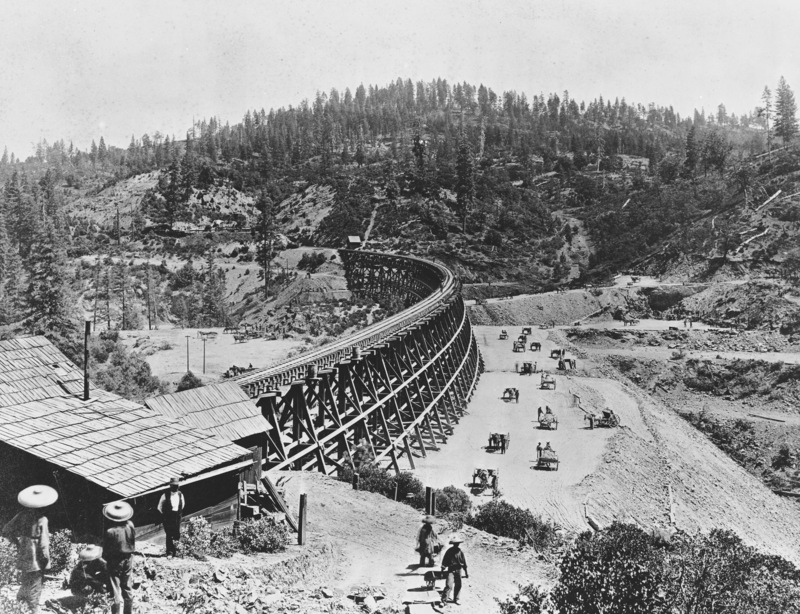 This picture shows the filling-in on high Secrettown trestle above Colfax, and the tools used in construction.